Today’s topic is about quitting drinking alcohol for 30 days is sort of like winning a trophy. It’s like reaching that first milestone. It’s something special in and of itself. I’m 4 1/2 years into this and I’ve made so many different changes in my life, but getting to the end of that first month just gave me so much relatively speaking. 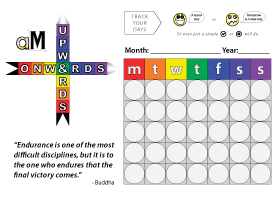 If you take that first 30 days and compare it to any other 30 days in the whole journey, it’s incomparable. The reason is because there is so much fear and anxiety and insecurity and being unsure about the journey and whether you’re doing the right thing, whether you’re going t be able to do this. There are so many different areas of your life that you will be questioning before you even step across that line. Taking that first step is the most important one that you’ll ever do. But once you get over that line and start building up a bit of momentum about yourself, and once you get to the stage where you’ve completed your first month, you’ll have so much experience behind you. You’ll have so much knowledge that will just knock away all the doubts and insecurities. 30 days is not really enough time to get rid of the habit altogether. It’s never going to be enough time. That takes a lot more time. You’re talking about a behavioural thing, the many different behaviours that make up the habit. The habit is not just the drinking. The habit is the thinking, it’s the rituals. It’s the thinking about drinking, the thinking about how you’re going to get a drink, about what you’re going to do when you do get a drink, how you do react the next day when you get a hangover. But there are so many other different areas that you wouldn’t even realise alcohol affects. It essentially affects every single different part of your life. Any behaviour you have is going to be affected by alcohol to one degree or another. So, 30 days is not enough time to get rid of that, to fix everything that needs to be fixed. Or to change everything that needs to be changed. They say maybe 60 days or 90 days is enough time. I think for everything to change and really get away from alcohol and really release yourself into your new life, it’s going to be different for everyone. But, it’s not going to happen within that first 30 days. Maybe 60 days, 90 days, once you get to that mark, there are a lot of things you’ve done within that time. A lot of the drinking thinking and the drinking behaviour revolves around your daily life. So, if you drink every day or almost every day, when you get home at the end of the day or when you wold normally drink, those circumstances and triggers are still going to be firing off every single day. So by the time you get to 30 days, you’ll have already got experience of 30 days with that trigger firing off and you dealing with it. The first few days might not be pretty at all. It might be fairly ugly. But you’ve done it and isolated some things that work. You’ve kicked out some things that don’t work. And this experience builds up to 60 days, 90 days, 6 months and so on. You will have gone through this reiteration of these similar behaviours over and over again. So by the time you get to the 6-month mark, you will have gone through so much. 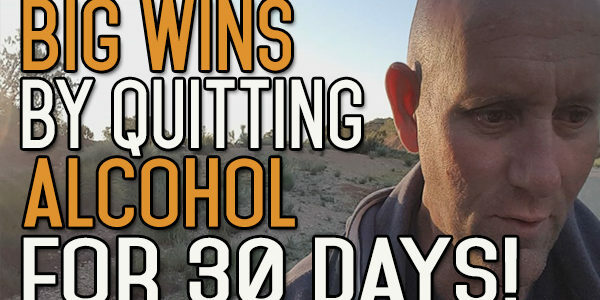 At 30-days you’ve gone through 4 weekends and all your work days where you wold work and whatever your method was of coming home and using alcohol at the end of the day, and however you used it at the weekends. You’ve gone through 4 iterations of that. You have a good idea of what it’s like not to drink anymore. That’s one of the problems in the beginning. You just don’t realise that you don’t understand what it’s like not t o drink. I didn’t know. I drank for over 35 years. You don’t start out drinking heavily. You start light and get heavier as you go through life. You become tolerant to the alcohol, to the lifestyle, to the thinking behind alcohol. So by the end of the 35 years that I was drinking, I just didn’t know what it was like to live a life without alcohol. That’s where all the fears come from, because alcohol is a part of many different areas of your life. You understand it on a basic level. It’s not a question of just getting rid of the alcohol. You think about all the areas you do drink and you know those areas are going to be affected. You know it will be difficult to relax in the beginning, and to socialise, because you have to make these changes and do something different. But once you get to that 30-day mark, it’s a real milestone because you’ve done this over and over again and understand what it’s like. I’m not saying all the fears and anxieties will be gone, but you will have gotten a handle on some of the most basic ones. A lot of the fears you did have, you will understand they’re not based on reality. In reality, you can go without alcohol. Then you get to 60 days, 90 days and a year. A year is a great milestone. 6 months is a great milestone to get to just because it’s a big chunk of time. 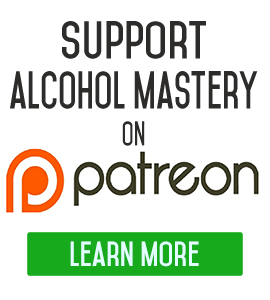 I think by that stage, by 6 months down the road, there’s just so much about this journey that you’ve experienced, and there’s so much distance between your life and the alcohol; you truly understand what it’s like not to be a drinker anymore. You might not feel it in your head totally. You might still think about yourself as being a drinker. You might still think that there’s still a tie between yourself and the alcohol. This is all down to how you view things. If you’re still looking back on alcohol and still thinking about it as being a part of your life, or that it held pleasure for you, then it’s going to take you a lot more time to get over this. whereas if you focused on the future…What you focus on is what you get in life. If you focus on the alcohol, that’s what you’re going to get. If you’re focused on the future, that’s what you’re going to get. It’s as simple as that. You’re going to prove to people that you can do this. You’re going to prove to yourself more importantly that you can do this. That’s one of the most important things, is to give yourself that gap, that timeframe of 30 days to do this. 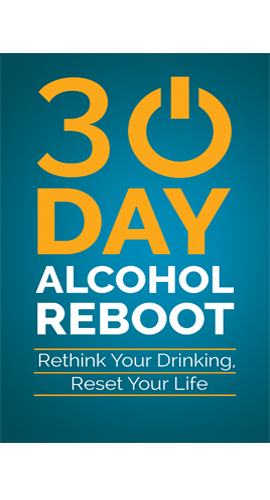 Once you get to that 30-days, you’re starting to overcome some of the most embedded mind-sets that get you in the drinking behaviour. You only got rid of them all, you might not have gotten rid of all of them totally, but you will have started to make inroads into taking them apart. I just wanted to say that people who don’t count days…I know it’s 4 1/2 years since I stopped drinking. It’s a nice thing to think about. 4 1/2 years have gone by. But it’s not something I do on a regular basis. I know I’m not going to go back on it, so it’s an irrelevant figure for me now. I like to think about it along the lines of it’s 4 1/2 years since I started on this new path of my life. It’s the same thing as I’d say, it’s 25 years since my son came along and changed my life. That’s something that is well worthwhile celebrating. So from that perspective, I like the day counted from that perspective. If you count like, ‘it’s 4 1/2 years since I’ve had a drink’, then it’s one of those things that will still attach you to that alcohol and that thinking. You want to get rid of that as much as possible. Get rid of the drinking thinking, of the behaviour, the lifestyle thinking, the thinking that it should be a normal part of anyone’s life, and focus on your future. Focus on the things that are going to bring your forwards in life, and are going to bring you forwards in life. That’s where you should focus. Figure out why you’re doing this. Once you can get that into your head, you will never look back. You’ll get to 4 1/2 years and go ‘it’s 4 1/2 years since I made that decision’. You can do that with 30 days, and assess it. Look at yourself and see the difference. 30 days is enough time to see the differences in your life. 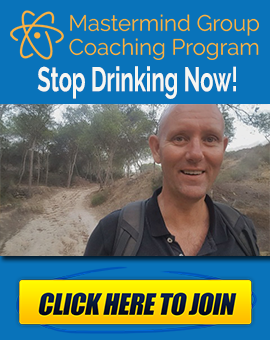 Come on over to the website and if you’re looking for help to quit your own drinking habit and get away form alcohol, you can sign up for Quit Drinking starter pack, if you’re interested in that. STEP BY STEP AND STAIR BY STAIR, BE PATIENT. YOU WILL BE THERE SOON.